The Lincoln Series Equipment line covers a full range for the Self Serve Industry. Our customized industrial grade car/truck wash equipment package offers standard systems for one to 12 bays, which can be expanded to fit any wash requirement. We use proven components to provide ultimate quality and reliability for years of trouble free operation. The Lincoln Series Wash equipment is designed with only one criteria: Make it the best self-serve wash system possible. D.A. 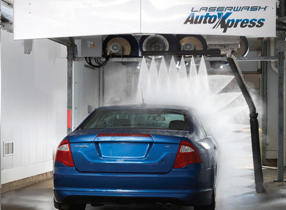 Lincoln Pump Service and Supply is proud to offer the PDQ LaserWash Express. 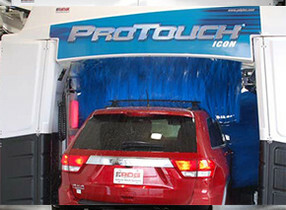 PDQ has designed an affordable automatic carwash designed exclusively for the auto dealer market. It incorporates advanced touch-free technology to provide you and your customers with a quick, exceptional clean that is unsurpassed by any other automatic car wash in the auto dealer industry.